Welcome to our publishing venture Book Case Engine. We are still small but growing steadily, and just every small fish we dream of getting bigger . . .
We have published in Fiction, Thriller, Self-Help and YA fiction genres so far. Check out our author pages. We are however eager to hear from you and to consider your work for publication. We are actively looking for original voices in YA and MG fiction, literary fiction, genre fiction, especially crime/thriller/mystery, romance, self-help, and great science, sociological and historical manuscripts. We offer both E-book and print contract. Agents and Writers interested in sending us your work, should send us a short query first. 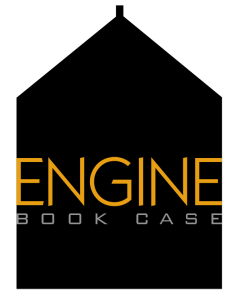 Visit the Book Case Engine Tab for our submission guidelines. We runs several Series such as Books We Live by, which only covers Classics from around the world, Noir Matters about everything thrillers, Crime, and mystery, and Heart Matters everything about romance and the body. We are also eager to receive manuscripts in foreign languages (untranslated literature) to publish them in their original language and/or in translation. We accept Spanish, French, Italian, Portuguese, and Russian projects. Write to us at the following address.